A metaphorical vision of a malignant tumour in the earths’ skin, sets Helena on a road trip, following the route the waste disposal trucks take from Cape Towns nuclear power station. Listening to the stories of workers, women from indigenous rural communities living near the dump, international experts and government ministers, Helena realizes the significance of her vision. She sees how political and electrical power go hand in hand, and how marginalized indigenous peoples pay the ultimate price for decisions made (about where we get our electric power) for the sake of political and financial power. The International Uranium Film Festival in Rio de Janiero (2012) Here the film won a Special Achievement Award. Uranium Film Festival tour of India (2013) Covering 11 Indian cities. Green Unplugged International Film Festival (online) 2013 – You can watch the whole film on this link. This film is based on a true personal event, which proved to me scientifically that trusting ones in intuition can save ones life. I dreamt that I had cancer in my leg. When I woke I went to the doctor, who diagnosed a malignant tumour in the skin of my calf. (Melanoma) Fortunately, it was discovered just in time, before it could spread into my veins. 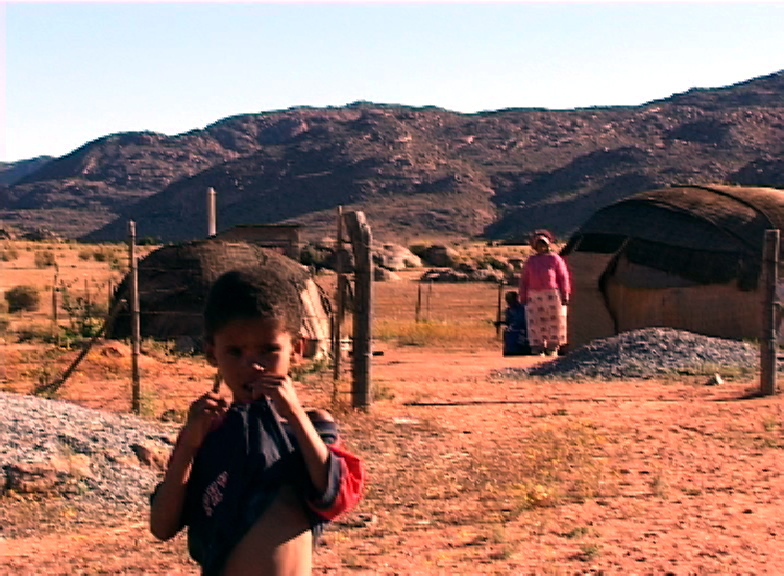 I had heard a rumour that the underground water in Namaqualand was being poisoned by nuclear waste. I set off on a road trip to investigate and met some amazing people along the way, like the women of the Namakhoi tribe, who live close to the earth, and are so intuitively wise to her ways. The ancient earth- wisdom of the elders of the earth’s first people’s is so simple and clear. The Navaho elders say that Uranium is a poison from the depths of the earth, which should never be removed, and that if it is, it will unleash terrible danger. It echoes the Greek parable of Pandora’s box. Never open it, or all ills will be loosed on the planet. It is so tempting to those who wish to have power over others to open that box, but they can never take full responsibility for what they have unleashed if it is stronger than them. In making this film, however, I tried to focus on keeping it as balanced and scientifically investigative as possible, so as not to be discredited by those in the industry who do not take things like intuition seriously. It was also my intention to give back some power to the marginalized communities the poorest of the poor who have the greatest wealth of earth Wisdom by giving them a voice. It was a great delight that it was screened in Rio on the year of the Earth Summit Rio+20, because the journey of raising funds for the film began at the World Summit in Johannesburg 2002, and my vision for the film, was to have it screened in the context of such an event. It received a “Special Achievement” award at the Uranium Film Festival in Rio, (this award was given specifically in acknowledgement of the way that I had listened to my “native instincts”, so it goes to show that it pays off to believe and trust in one’s intuition.) The film then went on to travel with the festival to Berlin and 11 cities in India. As a result of this, it was selected for the Green Unplugged Film Festival online and is now permanently available through them. To watch the whole film online by clicking on this link. Wow!! Helana this is wonderful. Thank you for this. Down to Earth- the documentary -learning from the earth keepers. Business, as usual, is over. Time to take action. Creating Self Value- despite past trauma -an essay about resilience despite everything.